It's not easy to say goodbye to cherished pets, even those that have lived long, happy lives. Although you may hate the thought of life without your pet, euthanasia can be the kindest decision you can make when your friend is suffering. If your pet has been seriously injured in a horrible accident and is not expected to recover, euthanasia is clearly the most humane option. The choice is not always so clear in other situations. Ups and downs are common when pets suffer from chronic diseases, which can make the decision more difficult. Pain That Cannot Be Controlled with Medication. In many cases, pets can continue to enjoy life if their pain is relieved by medications. When medication no longer helps, it may be the right time for euthanasia. If you have difficulty gauging the pain level, ask your pet's veterinarian for input. Constant Gastrointestinal Issues. As your pet becomes sicker, vomiting and diarrhea can become daily occurrences. Not surprisingly, these issues can cause your furry friend to lose weight and become dehydrated and lethargic. Difficulty Breathing. Is every breath a struggle for your pet? Trouble breathing can be very uncomfortable and even painful. No Interest in Favorite Activities. Seriously ill pets often lose interest in their favorite activities, such as playing fetch, taking walks through the neighborhood or snuggling up next to you on the couch. Prognosis. Have you talked to your pet's veterinarian about his or her prognosis? In some cases, even aggressive treatment will not save your companion, but will prolong suffering. When your pet's prognosis is poor, euthanasia can prevent unnecessary suffering. 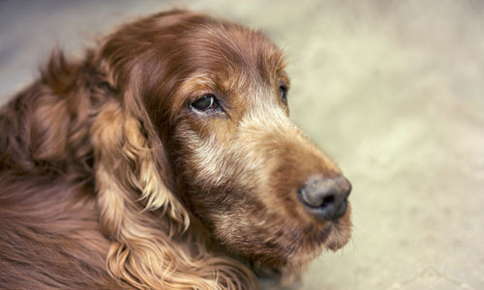 Incontinence: At some point, a seriously ill pet may no longer to control its bladder or bowels. After you make the decision, you will need to contact your pet's veterinarian to make arrangements and ask any questions you may have regarding euthanasia including at-home options. You will also want to consider burial and cremation options. Before the process begins, you will need to decide if you want to stay with your pet. Some people find comfort in being with their pets in their final minutes and many vets allow and encourage pet owners to be with their pets through the euthanasia process. While it may be difficult for you, accompanying your beloved pet to the very end can provide you both with comfort and closure. Your pet's comfort is the primary concern during the euthanasia process. He or she may be given a sedative that will cause drowsiness. After the sedative takes effect, the veterinarian injects sodium pentobarbital in a front or hind leg. The drug causes your pet to become unconscious, then stops the heart. Death usually occurs just a few minutes after your pet receives the injection. Although your pet has died, you may notice some movement or muscle twitching in its body for a few minutes after death. At the time of death, it's also common for the bladder and bowels to release. You will be able to spend some time alone with your pet after the procedure. If you plan to bury your pet, you will take his or her body with you or arrange for pet cemetery employees to pick it up. If you prefer cremation, your veterinarian's office will call you when the ashes are ready for pick up. Are you facing a difficult decision regarding your pet's health? Call us and we can help you consider all of the options.